The orders are starting to come in for the month of July, so I know everyone’s getting ready for all those summer parties. Which got me thinking about the 4th of July…. and some perfect party themes for it! Having a little one’s first birthday in July? Try the adorable Red, White & Blue ONE First Birthday Party Collection – it’s loaded with everything you need (including adorable printable mini-cake bunting). Or, having a splash park or pool party? 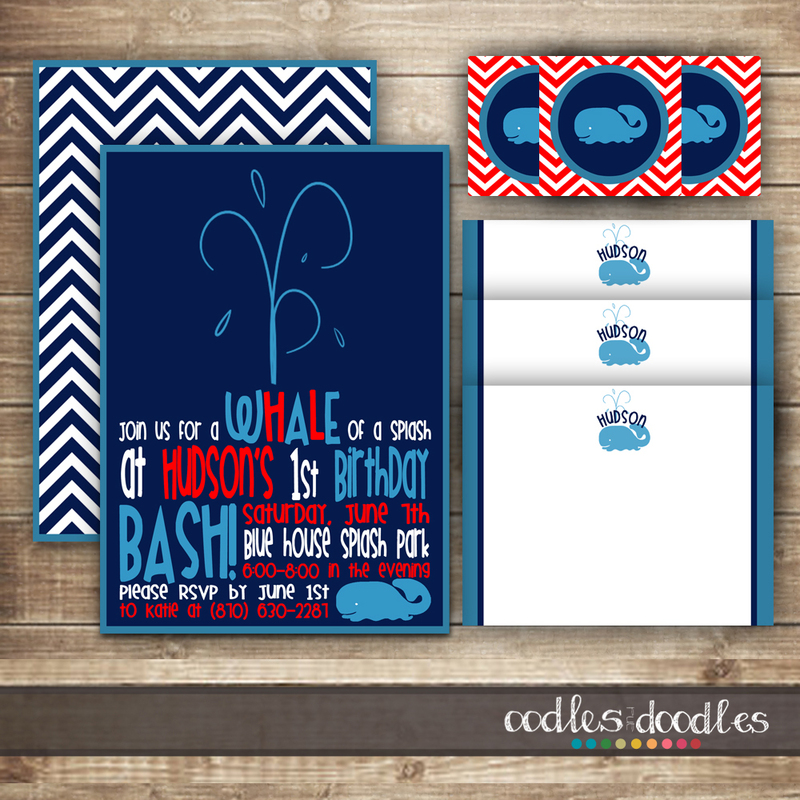 Check out the Splashy Whale Party Collection. It’s available in lots of colors… including Red, White and Blue. It’s perfect for a Whale of a Splash at someone’s Birthday Bash. And while you’re getting ready for all the 4th of July BBQ’s and great parties, stop by to download OandD’s FREE printable 4th of July Cupcake Toppers. A super easy and quick decoration! Happy Summer planning!